One of the oldest and enjoyed hobbies in the world is stamp collecting. This type of hobby can be boring for some people but for those who are fond and passionate about stamps, it is their life. A person who wants to collect stamps does not need to be highly educated on stamps. However, studying stamps will be an advantage especially when assessing the value and rarity of a specific stamp. Starting a stamp collection is thought to be expensive but this isn’t entirely true. Postage stamps are collected for their assorted subjects including people, animals, and even landscapes. Other stamps which are collected may showcase historical events too. Most of these mentioned stamps are affordable but if they are of limited edition, misprinted or very rare, expect to pay high prices for them. Stamp collecting has no rules- the collector has the choice to collect rare stamps only if he wishes. He could also collect stamps by country, by theme, by size or color. The very first stamps were collected at the same time postage stamps were introduced which was during 1840. The very first stamp ever produced as issued in Great Britain and shows a portrait of Queen Victoria. Called Penny Black, the stamp wasn’t produced limitedly but unused versions are very rare. Individuals who want to start collecting stamps should possess the basic items including stamp tongs, magnifying glass and a stamp album. The tongs are used to handle the stamps safely and prevent any finger prints and damage. The magnifying glass is used to check the very fine details (irregularities or not) on the stamps. In order to enjoy the fruits of stamp collecting labor, the stamps should be displayed and arrange in a stamp album. The album also helps keep the stamps flat, dust-free and away from moisture and heat. Knitted sweaters, socks, mitts and hats are very comfortable to wear. These clothing articles are soft and give off just the right warmth which is why these are favoured by millions of individuals worldwide. Made from loops of yarn, knitted clothing can be created by hand using special knitting needles. 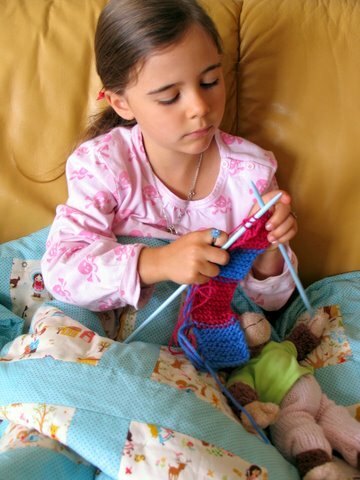 First introduced in Europe, knitting is a very popular hobby that’s relaxing and soothing. The whole knitting process might be intimidating for some but, actually, knitting is very easy to learn as it is quite repetitive. Once you have learned how to knit, prepared to be addicted and curb the enthusiasm to knit your own clothes. Knitting has several types which includes flat knitting, circular knitting, felting and needle felting. In order to create a round shape or seamless tube when knitting, the circular knitting technique type should be used. Instead of the traditional five double-pointed needles, a circular needle can be used to make the work easier instead. Flat knitting is the basic knitting technique that’s usually used to make a flat, rectangular piece. Felting is a technique that refers to the joining of the knitted fibres by shrinkage. Needle felting refers to the technique in which decorations is added over a finished knitted piece. To begin knitting, a person must equip herself with knitting needles and yarn. These needles are often made from metal or wood. The types of knitting needles include straight, double ended and circular needles. Of course to be able knit, a person should have numerous balls of yarn. The type of yarn used could make or break the clothing you are going to be making. Wool is the most common type of yarn but it does not complement all clothing pieces. Socks and intricate shawls should be made with very fine yarns or it would not turn out as pretty as you would expect it. Do you keep candy wrappers, receipts, flowers or cards just because they evoke lots of wonderful memories? You are not alone. Lots of people keep and preserve various knick-knacks to remind them of good times. Other people keep these things inside boxes but others choose to flaunt them in scrapbooks. Scrapbooking is hobby that’s done by individuals of all ages simply because it is fun. Instead of placing photos in albums, a scrapboooker places them inside scrapbooks together with accompanying mementos like the candy wrapper, movie ticket or other items. The individual can also scribble notes or quotes as well as add stickers, clippings and other embellishments. When scrapbooking, a person has full power to prepare her scrapbook any way she wants. For example a parent may choose to use one scrapbook for each of her children or a wife could scrapbook yearly to commemorate her wedding anniversaries together with his husband. Themes may vary per page or per scrapbook; the possibilities are endless and limitless. This hobby is not expensive as some people might think. Although there are several individuals who really invest in items such as stickers, scrapbook, templates and tools (decorative scissors, die-cutters and more), these aren’t really required. You can use an ordinary notebook if you want and just draw or doodle designs on it anyway you please. Embellishments do not have to be costly or bought it stores. They could just be recycled buttons, left over lace or ribbons, flattened flowers and so much more. Of course the end result will vary but the most important part in scrapbooking is the happiness it gives the owner and its viewers. Each page is a part of the scrapbooker’s memory and viewing each of them is like going back in time. Now, digital scrapbooking is also available which means that everything is done on the computer. Because there will no longer be hours of gluing and manually decorating scrapbooks, some die-hard scrapbookers are hesitant about trying it. Coin collecting is a hobby that involves trading and keeping coins as well as other types of legal tender. Just like stamps, coin collecting will only become expensive if the collectors choose to. The most basic type of collectors is usually the casual ones who save leftover coins that they acquired from a country that they had visited recently. Hard cord coin collectors are the one who invest in rare coins, limited edition coins and coins with mint errors. While there are no rules in coin collecting, all collectors mainly follow a category or theme. Apart from collecting coins per country, there are some people who collect coins by year, mint mark collections, by subject, or by metal. The value of these coins is subjected to their condition. A rare coin that’s in mint condition would definitely price higher than those who are damage, dented or very dingy. While some people might think that any is box is appropriate for storing coins, it is actually damaging than beneficial. When coins are placed altogether in one box, they would come into contact with each other. All the rubbing and bumping could devalue all of your coins in the long run. The best coin holders are the coin flips and the cardboard 2X2s. Coin flips are made of (Mylar) plastic and measures about 2 X 4 inches. A coin flip has two pockets on each side to allow the coin to slip in on the side and for a piece of paper to fit in the other. The side is then folded over to prevent the coin from falling out. Coin collectors choose to put their coins inside cardboard 2X2s. These 2x2s do not measure 2X2” but actually are 2X4” Made from cardboard, the 2X2s features a hole (with plastic) in the center of each side to accommodate the coins. Adults that are kids at heart are often passionate about toys which lead to them collecting action figures, dolls, yoyos and more. If you are fond of action figures and would want to start collecting them, there is two ways to go about it. But first you need to know what type of action figures you want to collect. One could choose to collect rare or limited edition action figures as well as mint-the-box ones. Obviously, these types of action figures cost money so be prepared to invest in them. If you are more interested in buying modern action figures, make sure that you shop around to ensure that you save money with your purchases. Before purchasing a specific action figure, it is best that you check several auction sites first. You’ll be surprised as to what types of toys thousands of people are willing to give up for a few dollars? If there are garage sales and toy conventions in your area, be sure to visit them to find a great deal. You can also meet people with similar taste and passion in toys. They could offer valuable advices too. If you want to buy action figures in stores, you might want to wait for sales so you’ll get huge discounts. Some stores even offer deals such as “Buy 1, Take 1” so you’ll be able to buy more figures. During store sales, make sure that you come to the venue early or you might not find the toy that you want. Most toy store’s aisles are cluttered and unorganized during clearance sales so don’t just look at what’s on the surface. Search the aisles thoroughly and don’t be afraid to dig through various piles of toys - there might be a gem of an action figure waiting for you at the bottom. Soap making is a popular hobby among DIYers because the finished products are very useful. Not just used in bathing, these handmade soaps can be used as decorations and are often sold as souvenirs too. Are you interested in making your own soap from scratch? Read on so you’ll get an idea on how easy it is to make one. There are several methods on how to make handmade soaps including the melt and pour, cold process, hot process and rebatching methods. With a bit of practice, you’ll be able to determine which method works best for you. In this method, a clear soap base is the main ingredient. Once the base is melted down, soap makers can add their preferred color, fragrance and extra additives freely. 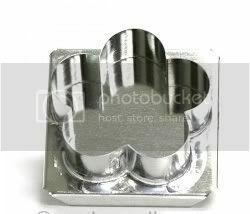 Once all the ingredients are perfectly mixed, the soap needs to be placed on a mold and left to hard. 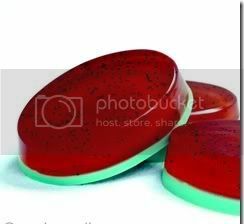 Once the soap is hard, it can be sliced in to several pieces and ready to use. The cold process method is about “old school” but it is still done by millions of soap makers worldwide. To made soap using the cold process method, the maker needs to combine lye (sodium hydroxide) and oils or fatty acids together. The fatty acids could be anything the maker prefers including olive oil, coconut oil, or hemp oil. This particular soap making method is a bit critical because of the use of lye. Lye can release harmful fumes so make sure that you are knowledgeable about the whole process before attempting to make soap. Unlike the cold process that does not involve heating, the hot process method requires fire to melt and mix all ingredients together. Once thoroughly melted, the soap is then transferred into the mold and left to cool. Also known as French Milled process, the rebatching method requires making soap from scratch via cold method, grating it and then melting it down to add more colors or fragrances. Combine the citric acid and baking soda together. Ensure that they are blended thoroughly or else, clumps will float in your bath water. Once they mixed well, add a bit of colorant followed by the fragrance oil. The amount of the fragrance oil that you should use will depend on how strong or weak you want the scent to be. Next, gradually spritz some witch hazel on the mixture while blending at the same time. When the mixture starts to get sticky, you have to work fast and place them in the mold or else they’ll harden in unsightly lumps. Once the bombs are in perfect round shape, tap them out of the molds and let them air dry for about 5 hours before use. Combine all dry ingredients in one bowl and all wet ingredients in another. Once properly mixed, pour the wet mixture into the dry ingredients while whisking fast. Whisking fast is important to avoid premature fizzing. Once all ingredients are blended, it needs to be immediately place in the mold. Once in shape, tap them out from the mold and air dry for an hour. Are you searching for unique items to give away to your guests on your birthday or wedding day? Why not make some cute and fully usable soaps? DIY soaps are very easy to make especially in bulk. What’s more, you’ll be able to package them anyway you please. Roughly chop your clear glycerine soap base and place it in your microwaveable measuring cup. Melt the base in the microwave on high for 30 seconds (repeat, if you must) until it is melted. Add the red colorant and fragrance oil immediately. Continuously stirring, let the base cool to 125 degrees Fahrenheit before stirring in a liberal amount of poppy seeds. Immediately, pour the base into the mold until about 3/4s full and let the base cool in front of an electric fan. Accelerated cooling will prevent the seeds to all sink at the bottom of the mold. Once the soap is cool, use a fork to score the top of the soap. This will allow the second layer to adhere properly. For the second layer, place chunks of white soap base and melt it in the microwave oven. Once the melted, proceed to add the fragrance oil and apple green mica. Pour this soap base on top of the first layer and let dry. Allow both layer to completely dry before taking it out of the mold. Using your rubber bands, secure your 2-part mold shut. Don’t forget to ensure that the openings are level with one another. Chop up your base and melt in the microwave. Stir in some colorant and fragrance oil unto the melted soap base and stir continuously. Pour the soap mixture inside the mold by parting the entrance a bit. 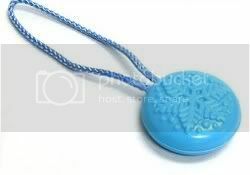 Once the mixture has completely filled the mold, put the soap rope in the mold until it is secure halfway in the mixture. Let the soap cool completely before taking out the rubber bands and removing the mold. One of the primary ingredients in making candles is the wax. There is a cornucopia of waxes readily available today, both online and in actual stores. In making candles, a person could choose to use synthetic wax, natural wax or even a combination of both – the possibilities are endless. Natural and very popular, beeswax is considered as the oldest type of wax used for candle making. When lit, beeswax candles smell sweet and relaxing. Beeswax is made by bees and results from the entire process of honey making. Once the beeswax is harvested from the honey combs, it is melted thoroughly and made into large blocks to be sold. Beeswax is soft so it could be readily rolled into a candle without the need for heating. The most common and highly versatile wax used in candle making is the paraffin wax. Because it complements various applications and possesses different melting points, this type of wax can be made into a plethora of candles including votives, containers and more. If you want to make transparent candles, you should only use gel waxes. Introduced by Penreco, gel waxes are favourites among candle makers because it holds scents much longer than other synthetic types of waxes. Made from palm oil, palm wax is a bit brittle yet firm. This type of candle wax is often used to make pillar or votives candles. What makes this candle wax special is that it has that feathered effect which greatly adds to the candle’s appeal. In candle making, it doesn’t really matter what wax type you use as long as the candles you’ll be making are stable and safe to use. Lit candles can cause a huge fire so you don’t want to responsible for any accidents just because your candles were lopsided and not well-made. Prepare your seashell and prop up its edge to make it level. Using some hot glue, attach the wick on the center of the shell and let dry. Take your paraffin wax and heat it using a double broiler. Once the wax is heated, add the dry and fragrance while mixing. Remove the wax from the heat but continue stirring until its temperature is about 145 degrees. Once at the appropriate temperature, you should notice that the wax starts to develop a thin skin. 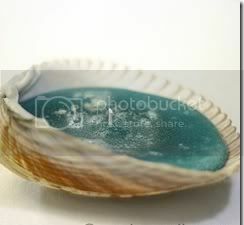 Stir the wax briskly to create some bubbles that are reminiscent of the ocean. Pour the wax immediately in the shell and let cool. Melt the wax and pour it in the floater mold. Make sure that the wax is not too hot and just begins to skin before pouring. Once the wax is almost cool, get ready to stick in the pre-tabbed wick in to the center of the mold. Make sure that the tab will stick to the wax bottom. As soon as the wax is completely cool, the wax has a tendency to shrink and leave a sinkhole in the middle. Just pour in a bit of the leftover wax and let it cool again. After a few hours, check the wax if it is thoroughly cooled before you take it out of the mold. If you have a bit of trouble popping out the floater candle, you can place it in the freezing for a few minutes for trying again.